With larger churches you can have either four cameras mounted on tripods or two cameras on tripods and two PTZ cameras. 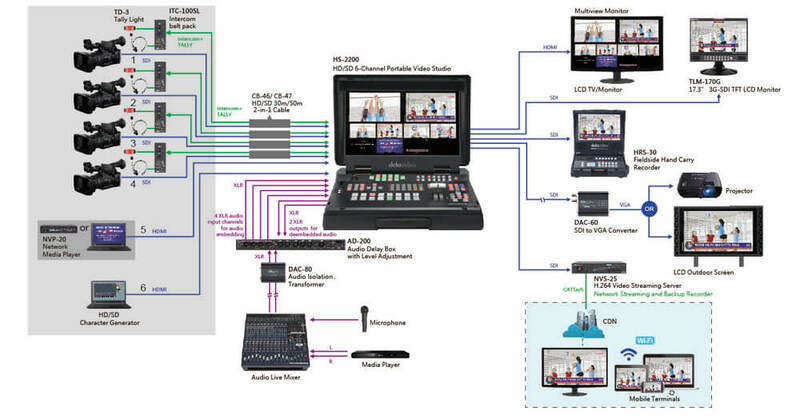 This mixer allows the flexibility of have two HDMI inputs, one doing the songs/scripture and the second either a laptop used by the presenter/pastor or DVD player. Outputs going to the screens, web broadcasting and recording.